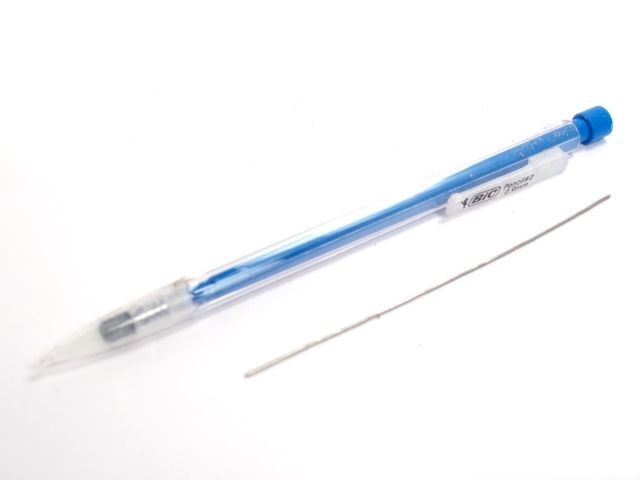 One day I picked up a stray piece of .9mm mechanical pencil lead thinking it was a short chunk of solder. I discovered the mistake after a few seconds of wondering why the darn thing wouldn't melt. Out of curiosity I did a quick unit conversion, and found that .9mm is just slightly less than .36" (.3543"). I fed the end of my solder roll through the pencil, and found that it was a surprisingly comfortable way to hold the solder while I worked. The weight would be a problem. It wouldn't get rid of the roll-futzing issues, it would just move them closer to the pencil. It would be more work than I wanted to invest in a quick-and-dirty tool. So instead, I cut some chunks of solder about the same length as the leads. It worked well enough that I keep half a dozen of the things loaded up and ready to go. The Bic .9mm pencil works well, and as of this writing costs about $3 for 10. Pull the eraser and dump the leads out. Be sure to get the one that's already slotted for use. Cut a few chunks of solder about the same length as the barrel. 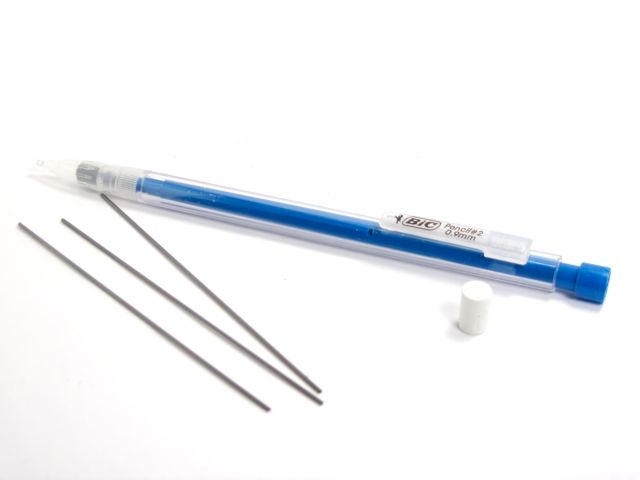 The pencil will hold 5 pieces comfortably, and at 4 to 5 inches per piece, you get about 2 feet of solder per load. The whole loading process takes about a minute, and I stopped listening to people talk about time efficiency somewhere between Twitter and the LOLCats. 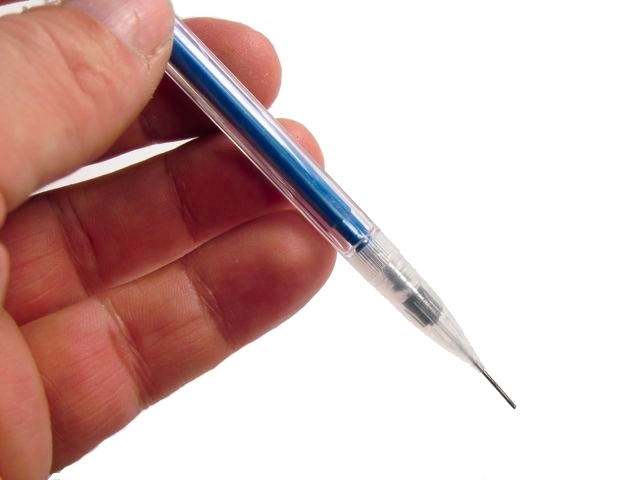 Pop the eraser back in and you're ready to go. When you get to the end of a piece, pull it out, melt it onto the end of the next one, and keep working.